Ireland are still without a win in the quadrangular series in South Africa after a 178-run hammering by the hosts in Potchefstroom on Thursday. Teenager Laura Wolvaardt hit a superb 149 as South Africa made a massive 337-5, their highest one-day total. Ireland struggled in response and could only manage 159-8 in their 50 overs, with Mary Waldron top scoring on 35. It follows defeats by India and Zimbabwe, with the Irish back in action against India on Monday. Wolvaardt's run-a-ball knock included 17 boundaries while Aoife Beggs was the best of the Irish bowlers with 3-64. 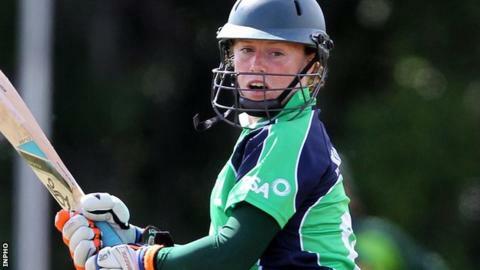 Malahide opener Waldron shared a 51-run stand for the second wicket with Laura Delany (23), who made her 100th international appearance, as Ireland slumped to a third straight defeat.